Our clients can avail from us an extensive array of industrial flanges like rubber flanges, aluminium flanges etc., that are fabricated using superior quality raw material and can be customized to suit the specific requirements of our clients. Reasonably priced, these flanges are appreciated by our clients for their premium quality and durability. 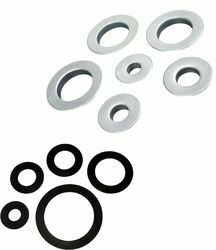 We manufacture a wide range of rubber flanges that are extensively demanded by our clients for their durability and economical pricing. 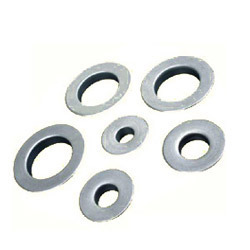 Fabricated using premium quality nbr, these rubber flanges are offered at the most competitive prices in the industry. Thickness maintained at 0.7 - 0.8 MM. 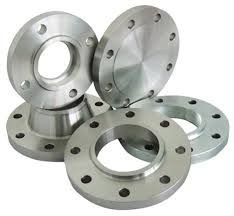 Customers can avail from us a remarkable range of Industrial Flanges. 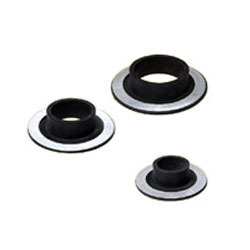 Owing to their salient features such as high metallurgic strength, good tensile strength and corrosion proof, these products are highly appreciated among the customers.